Trade Binaries with HighLow, Australia’s Leading Binary Options Broker. Are You Overvaluing Your Wins and Losses? Are You In A Trading Rut? What Are You Doing Right? With so many binary options brokers to choose from on the internet, binary options traders often have a difficult time is assessing which binary broker to sign up with. The problem is compounded by the fact that many of these so called binary options brokers are often opaque with their operations, hence leaving many questions unanswered and causing frustration among traders. However, there are times that you will come across a brokerage firm that operates with full transparency. One such broker that is fully above board with the way it operates is HighLow, an Australian based binary broker. For HighLow’s bonus rating, we rated the broker with a score of 50/100, as they only offer a cashback bonus of $50. 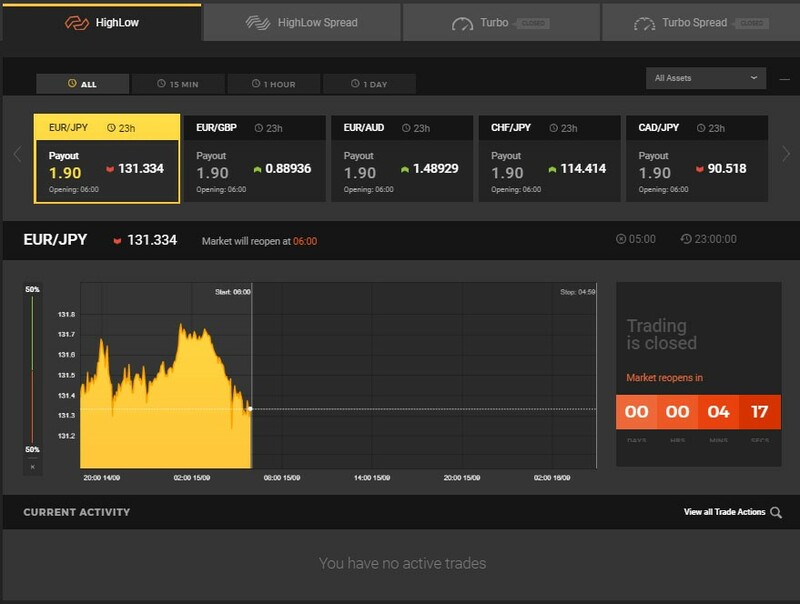 As for HighLow’s trading platform, it scored a high score of 90/100 due to its efficiency and user friendliness. For customer support, HighLow earned a modest score of 65/100 as the support services are limited to normal office hours. Finally for options choices, HighLow scored 70/100 as it has managed to provide their traders some 4 different types of options contracts. HighLow was first established in 2010. The company that owns and manages the HighLow trademark is HighLow Market Pty Ltd. Their corporate headquarter is located at Level 14, Macquarie House, #167 Macquarie Street, Sydney. They also have an office in London, located at Milton Gate, #60 Chiswell Street. As an Australian based financial services provider, HighLow is under the jurisdiction of the Australian Securities and Investment Commission (ASIC), a well regarded financial regulatory body in the southern hemisphere. As for the binary options trading platform adopted by HighLow, it is powered by the leading Fintech company called MarketsPulse. This trading platform, although not as popular as the SpotOption Gen 2 trading platform, takes a very practical approach towards how trades are executed online. The platform is efficient and is designed to be user friendly hence offering its users a fulfilling trading experience. Brightly coloured, traders will find it easy to locate the various functionalities of the trading platform. Integrated together with the trading platform are also numerous trading tools which HighLow’s traders can use for charting and technical analysis. In this respect, the HighLow trading platform is much more advanced the other binary options trading platforms used by brokers in the industry. With the HighLow trading platform, traders can also get to trade with 4 different types of binary options contracts such as Turbo and Turbo spread options and High/Low and High/Low spread options. Although the number of option choices are not as varied as what some brokers in the industry are offering, the plus point about HighLow binaries is the fact that the returns can reach as high as 200%. Most of the returns that are being offered by other binary options brokers are only around the 85% range. HighLow has not forgotten about mobile traders. In fact the broker has come up with dedicated mobile trading apps, which are optimized by Android and iOS powered devices. These apps are available free of charge and can be easily downloaded from Apple’s App Store and the Google Play Store. With the mobile trading apps, smartphone users can now trade on the go and keep in touch with all the latest developments in the market. For the bonus that HighLow is currently offering, new traders will be given a $50 cashback bonus, once they have registered for an account with the broker. Registering a trading account with HighLow is a straightforward simple process as there is only a standard account. This trading account is sufficient to meet the trading needs of both beginner and experienced traders since the number of option types is limited to four types and the number of available underlying assets only totals 25 assets. HighLow has made it easy for anyone to open a live trading account, as they set the minimum deposit requirement at just $50. Trading activities are also affordable, with the minimum trade size being $10. The cap for the maximum trade size is at $2000 which is more than adequate for the most active trader. For potential traders who are unsure of what HighLow has to offer, they can also try out the demo account first. Accessible to anybody, no registration is required to log on to the demo account. Simply click on the “Quick Demo” button that can be found at the top of the home page. Once you have clicked that, you will be immediately redirected to the demo platform that is preloaded with $10,000 virtual cash. As for trading fees, HighLow does not charge their clients any commissions or spreads on the trades that they make. The premium paid for the option contract is the only capital outlay which the trader has to come up with when making a trade on the HighLow trading platform. The return at HighLow is one of the highest in the industry with the maximum payout capable of reaching 200%. Hence, despite some limitations on the HighLow’s trading platform, the high payout offered is more than sufficient to make up for those limitations. In order for a withdrawal request to be processed, you will be required to withdraw a minimum amount of $50. There is also a service charge of $20 for all withdrawals conducted through bank wire transfer. Apart from English, HighLow’s website is also translated into traditional and simplified Chinese. This is due to the fact that a large percentage of HighLow’s client base comprises of Chinese traders. As for customer support, the support team can be reached through email or the telephone. However, it should be noted that the service is only from 9am to 4pm (Australia). To add value to their services and product offerings, HighLow has also managed to provide their traders with a well-equipped resource center. In the resource center, traders can access resources such as video tutorials, Platform Walk-Through, ebooks, Demo platform, FAQ and Glossary. Although we noted that some of the services offered by HighLow are below par with what most binary options brokers are offering, the broker has its own strengths which are second to none. Foremost of all, HighLow is regulated by ASIC, one of the most highly regarded financial regulators in the world. In addition, the broker has earned a reputation as a reliable and trustworthy broker since its inception in 2010. For a binary options broker, that is an eternity. However, what is most important of all is the fact that HighLow is able to offer its clients the assurance that their money will be safe and handled properly. Where is HighLow based at? HighLow is based in Sydney, Australia. Their office is located at 14, Macquarie House, #167 Macquarie Street, Sydney. Yes, HighLow is trusted and reliable. The broker has been operational since 2010. In addition, HighLow is regulated by ASIC. What is the minimum deposit requirement at HighLow? The minimum deposit requirement at HighLow is $50. What is the maximum return on investment at HighLow? 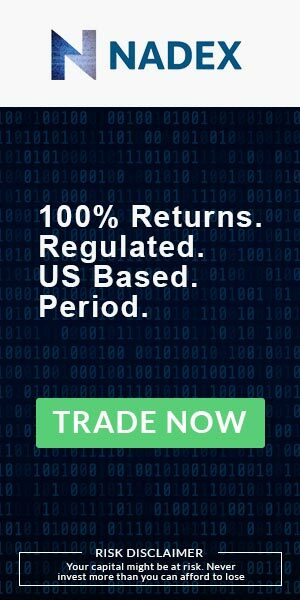 Currently, HighLow offers its traders a maximum return of 200%.